Introducing our Soothe Mama fragrance free range skincare collection for expectant and new mums. Ermana offers an unscented range for those who are sensitive to essential oils. 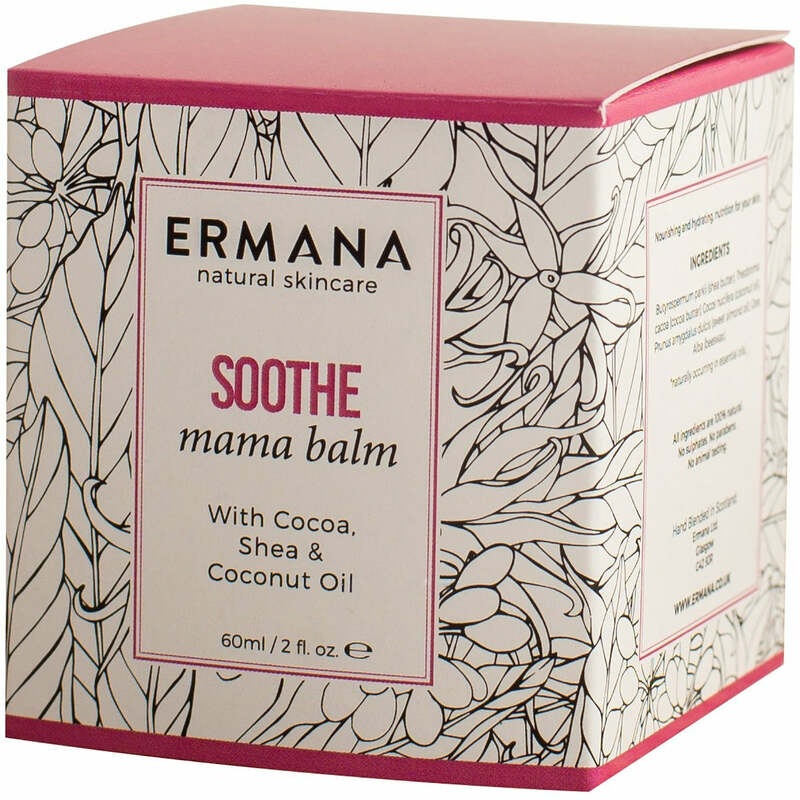 Ermana Soothe Mama Balm is a rich blend of natural butters which soothe and hydrate the skin. Made from cocoa, shea and coconut butters. Blended with sweet almond oil and beeswax to moisturise and condition the skin. Cocoa Butter is a great source of vitamin E. It is wonderfully hydrating while it softens and protects the skin. It’s an anti-oxidant and excellent anti-wrinkle treatment. Coconut Oil is the ultimate skin super food with many properties and benefits to the skin. It hydrates, softens, protects and soothes the skin while acting as an anti-inflammatory and anti-oxidant. It’s a rich source of vitamin D and contains essential fatty acids which help to repair the skin. Sweet Almond Oil is packed with vitamins A, B1, B2, B6 and E which are all great for the health of the skin. It moisturises, conditions and nourishes the skin while promoting a healthy, youthful complexion. Beeswax is an excellent skin tonic which forms a protective layer on the skin preventing environmental damage. It reduces dryness by holding moisture in the skin. It also works as a great anti-bacterial agent by keeping the skin hydrated and healthy. 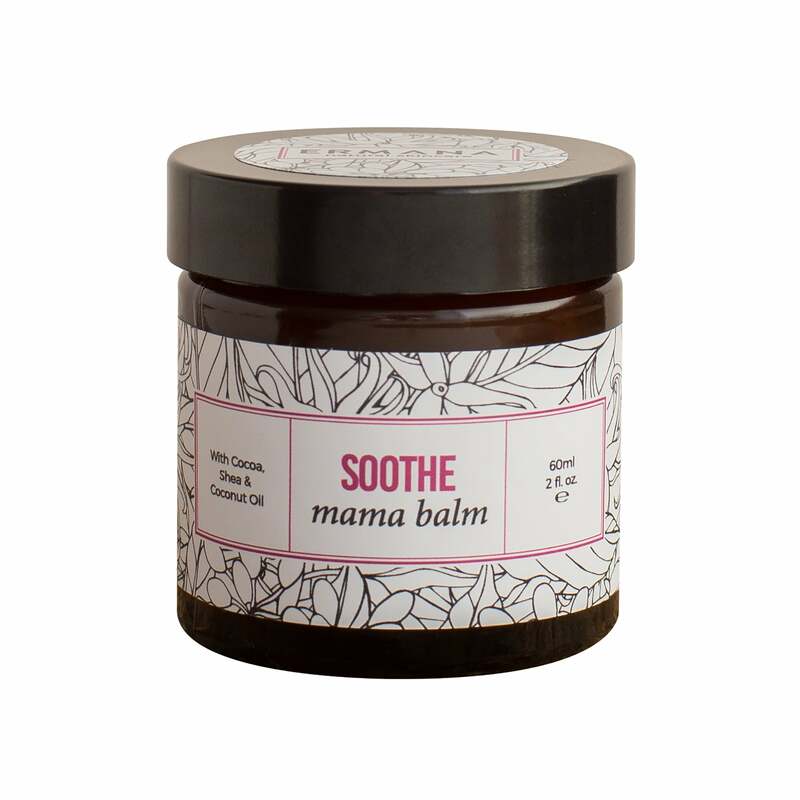 Ermana Soothe Mama Oil A luxurious blend of nourishing plant oils packed with natural vitamins, minerals, anti oxidants and omega oils essential to hydrate the skin and to help prevent stretch marks. Suitable for all skin types. We have also just added to our range, Soothe organic hand and body wash and lotion. Both products, again are fragrance free. The lotion is made from olive, flax and sunflower oils as well as shea and cocoa butters to nourish and hydrate the skin. The wash is made from plant based ingredients including aloe vera juice to help nourish and protect skin while it cleans. Aloe vera is suited to all skin types, especially dry, damaged, broken, sensitive and irritated skin. It has anti-inflammatory and antioxidant properties and soothes skin conditions such as psoriasis, dermatitis, dandruff and skin burns. Perfect for those with sensitive skin or allergy to essential oils.